Have you already joined the planner addiction ? 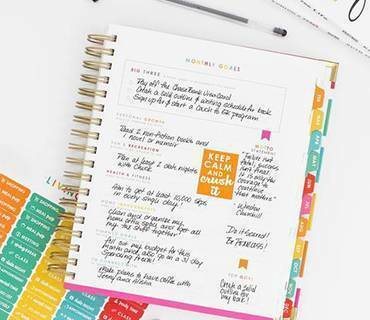 With the Heidi Swapp planner the process is really simple to keep everything nice and neat. These new planners come in three models: two in big size, one stamped with dots, others with stripes and the third one comes in a pocket planner format. All of them are very sophisticated, in cream and golden tones, plus rings allowing you to take out sheets and introduce them again easily. This organising system by Heidi Swapp UK is designed for making scrap or journaling while we live our daily life, you will find multiple stickers for completing your planner.